If you are an ecommerce business and need a website with all the relevant tools and features such as product listings, shopping baskets, and checkouts without wanting to build them separately, then Essex Media Solutions can help you. We will provide you with the ideal ecommerce website to satisfy all your business’s website needs and grant you a fully functional website with no additional work needed. 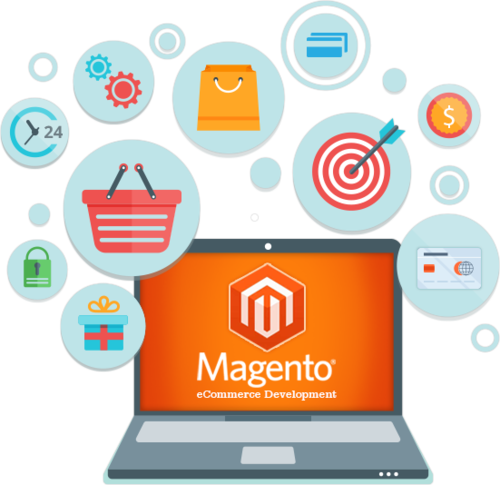 We will do this by using Magento development which is an ecommerce focused web designing platform committed to making it easier to build and maintain quality websites for ecommerce purposes. Despite having these features readily available, they remain customisable to add individuality to your website and help you stand out from the crowd of Magento users. What Can We and Magento Do For You? When you choose Essex Media Solutions, we will build and customise your website, optimise its performance, give it multiple language settings, enable your website to accept different currencies, and configure payment methods such as PayPal and SagePay. Overall, we can help make your website highly functional for your specific business needs. If you need a Magento based website creating for your business, then do not hesitate to get in touch with Essex Media Solutions today! Copyright 2018 Essex Media Solutions.